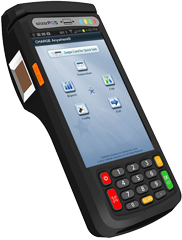 QuickSale Terminal is the newest addition to Charge Anywhere’s family of EMV certified, card present payment solutions. 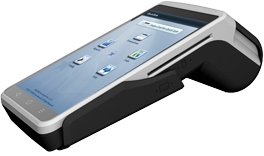 QuickSale is now integrated with multiple Android POS Terminal including the Q1, a ruggedized, portable Android terminal and the Q2, a PIN-on-Glass 5.5” countertop Android terminal. QuickSale Terminals delivers a powerful combination of application functionality and deployment services at a price that will improve your bottom line. 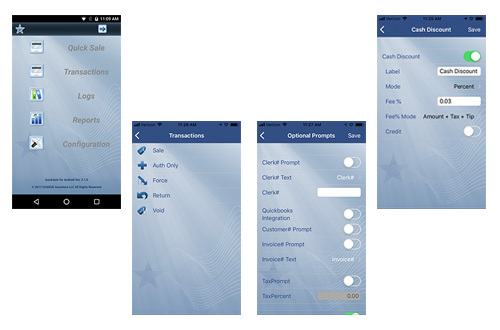 Everything you need in one device – process payment and print/send receipts. Leverages the powerful and familiar Android operating system. Over-the-Air software updates ensure your terminal is always in compliance. Supports the features merchants require – EBT, Pin Debit, Cash Discount, Gift Cards, Mobile Wallets, email or print receipts and more. WiFi and 3G/4G SIM for continuous coverage. QuickSale manages POS terminal encryptions, downloads and settings remotely, saving valuable time and effort in managing merchants and devices.